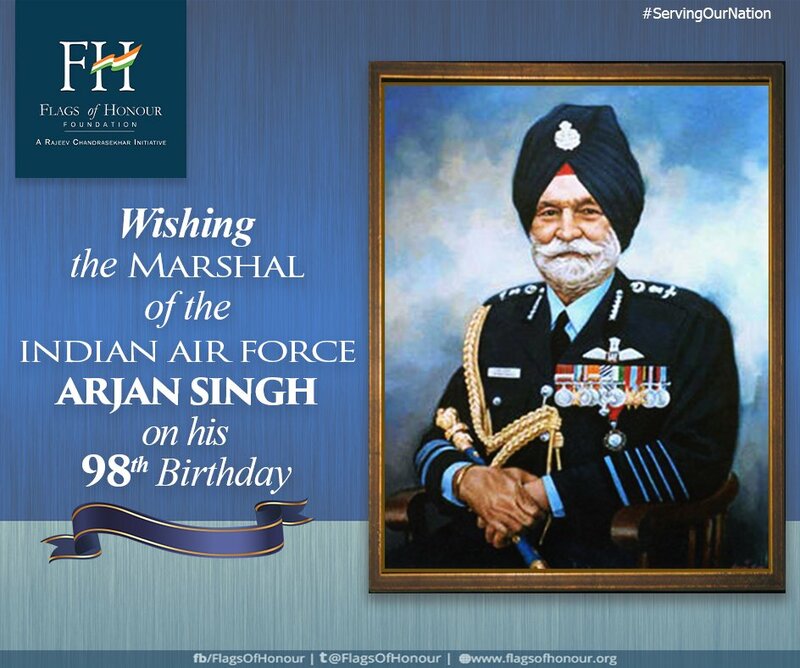 EX-SERVICEMEN WELFARE: Wishing Marshal of the Airforce Arjan Singh a very happy 98th birthday today. Salute Sir! My UNIT No21 Sqdn AF. Wish you happy long life Sir. Of IAF was not found conveyed.